Lamigo Monkeys 郭嚴文 (Kuo Yen-Wen) maybe should consider a 2nd career in professional cricket after last night, where he hits for a single on a low pitch while off-balance. 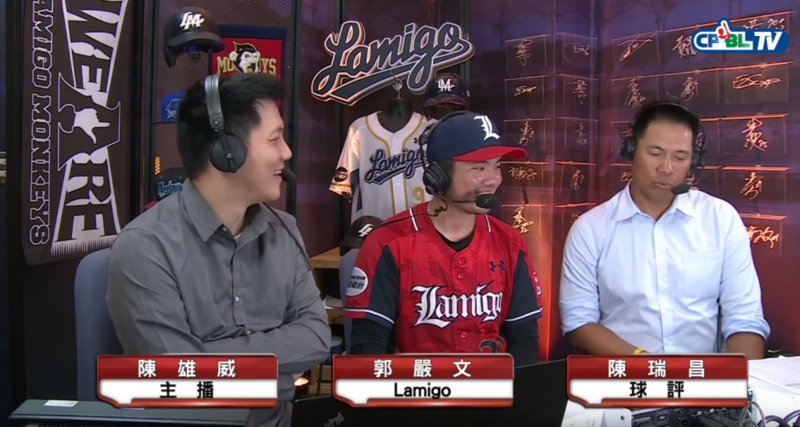 After the game, Kuo was interviewed by the commentators about the off-balance hit. As both commentators been arguing whether that hit was a fluke or a technical hit throughout the entire game. “Haha, it was a total fluke! But I noticed the pitcher likes to go low and inside with his fastball. To be honest, I was not meant to swing for that pitch, but it’s too late to stop, so I just focused on trying to make contact” Said Kuo Yen-Wen after the game.